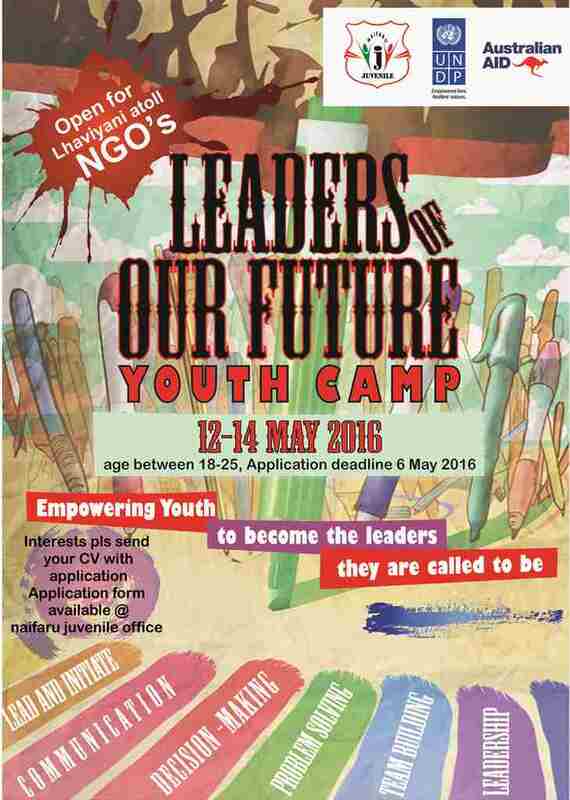 We are hosting a Youth Camp on the 12-14th of May to develop your professional skills and help you pursue your career. We will provide training to improve communication, team work and leadership skills and so on. Please bring a copy of your CV and the application form (which can be found in downloads or collected from the Naifaru Juvenile office) to the Naifaru Juvenile office or email to info@naifarujuvenile.org. All applicants between 18 and 25 are welcome.